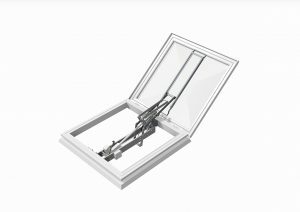 Forming part of the Brett Martin Mardome Rooflight range, the fully-certified Mardome Trade Smoke Vents deliver maximum fire safety by allowing smoke and heat to escape, whilst bringing natural ventilation and an abundance of natural light into both new build and refurbished buildings. Allowing specifiers to source both rooflight and smoke vent products from a single supplier, Mardome Trade Smoke Vents are individual polycarbonate dome rooflights intended for installation on flat or low pitch roofs of all modern building types to provide natural smoke and heat exhaust ventilation and comfort. Designed, fully tested and certified in accordance with EN 12101-2, Mardome Trade Smoke Vents meet standards for safety, security, non-fragility and fire safety.  Fully guaranteed, they are available with a number of product accessories including a Control Panel System, Fire Switch, Fireman’s Priority Switch and Smoke Detector. 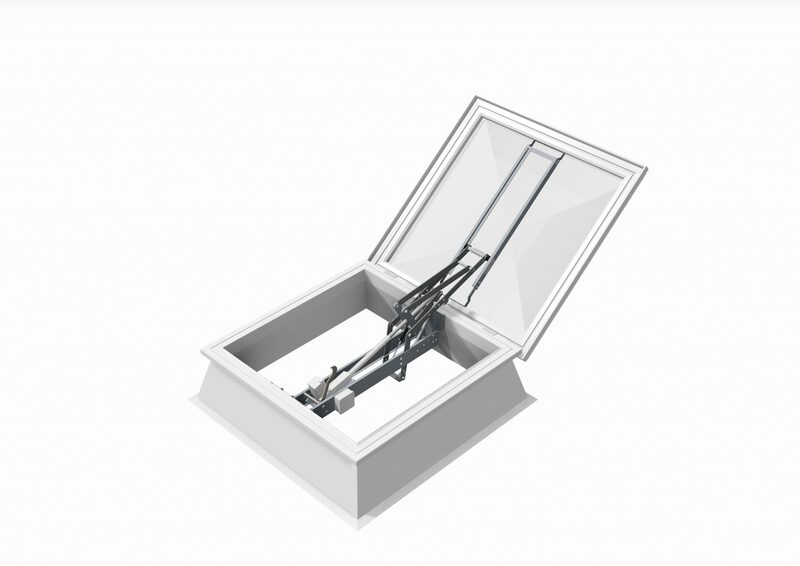 A single 24V traverse actuator opens the rooflight to 140° in less than 60 seconds and, when triggered by a connected alarm system, will automatically open the unit to provide fast and effective smoke ventilation. Glazed in clear polycarbonate and available in triple and double skins, Mardome Trade Smoke Vents are available in sizes from 1050mm x 1050mm to 1800mm x 1800mm. The range includes dome and pyramid options, and for ease of installation, a 100mm direct fix kerb (for installation on a pre-existing 200mm builder’s upstand) or a 365mm sloped kerb. With a reputation for quality and reliability developed over more than 50 years in the industry, Brett Martin’s ongoing investment in the latest manufacturing technology, innovation and product development ensures that the company’s products remain at the forefront of the industry. By understanding the challenges of producing high quality rooflight solutions, Mardome Trade Smoke Vents are further testament to Brett Martin’s ability to create solutions that meet all the requirements of domestic and commercial buildings. 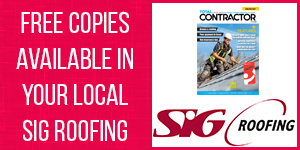 Total Contractor is the only monthly magazine produced exclusively for contractors with an interest in roofing, cladding and insulation materials, systems and projects. 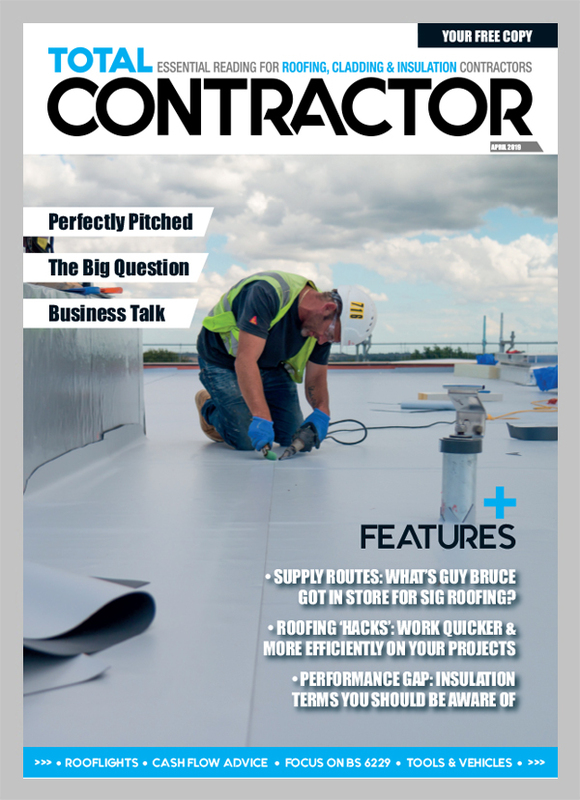 If you work on new build or refurbishment projects in the residential, commercial or agricultural markets, this is the magazine for you. Will T Levels attract new talent?